Superannuation, or 'super', is money put aside by your employer for you to live on when you retire from work. 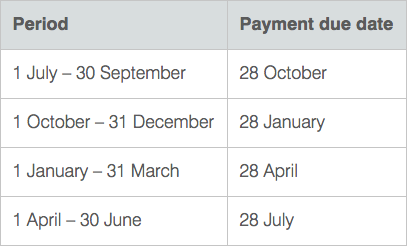 When are superannuation payments made? How do I get the details of the super account Sidekicker created for me? If you selected 'setup a new superannuation account for me' in your Account Settings and you earn $450 in a calendar month, we will set up a HostPlus super account for you. This is created at the end of the quarter based on the schedule above. Once your first super payment is made to HostPlus, they will send you a letter with the details of your new account. You can also contact HostPlus at https://hostplus.com.au/help/contact-us with your name, date of birth and address and they will release those details to you. What if I need to change my Super details? To update your super details, head to your Account Settings on your desktop and select the Employment Details tab. Any changes will be reflected in your next pay. Where can I find out more details regarding Superannuation? If you have any other questions, don't hesitate to reach out to us via the blue Sidekicker chat bubble!